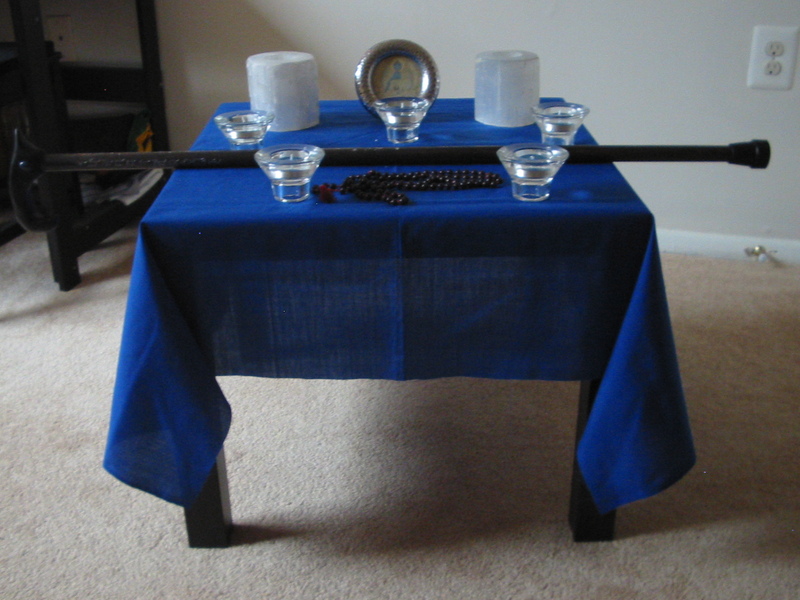 The altar setup I used to consecrate the Bhaiṣajyaguru Cane. I used a deep blue altar cloth on an altar oriented towards the east (the direction of the realm of Bhaiṣajyaguru), with several deep blue candles, some of which are in selenite holders. The mala, or rosary, is placed in front of the cane, ready for use, with an image of Bhaiṣajyaguru in the middle towards the back.